PetSmart – Jamie Kakleas is a writer. 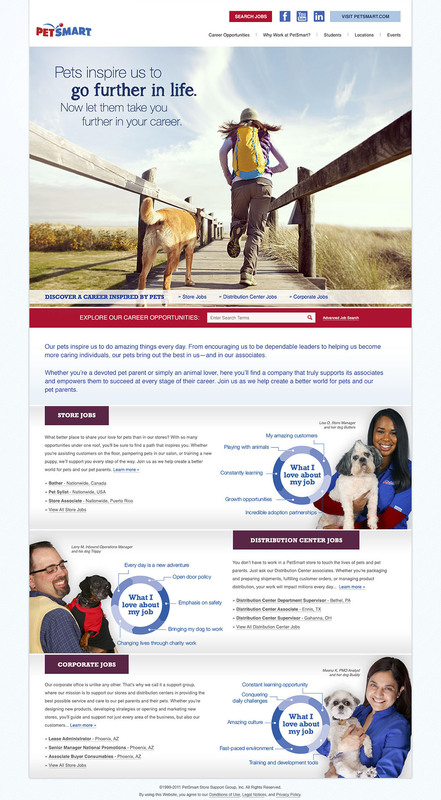 • Create a brand new website for PetSmart Careers from scratch. • Interview 30+ PetSmart associates to gain real insight into what it’s really like to work at PetSmart. • Use this information to develop a powerful & inspiring campaign that attracts passionate pet lovers to work at PetSmart. • Ensure our campaign attracts professionals interested in a variety of career areas—stores, distribution centers, corporate, etc. • Completely restructure and rewrite each section of the website to align with new brand messaging. • Position PetSmart as a unique opportunity to do work that makes a real difference. While creating the PetSmart careers website, we were also tasked with creating a product life cycle tour that would show prospective employees all the opportunities available across the spectrum. From brainstorming new products at corporate HQ to delivering them to PetSmart stores through Transportation and Supply Chain, members across the entire PetSmart team play a significant role in the lives of pets and pet parents. 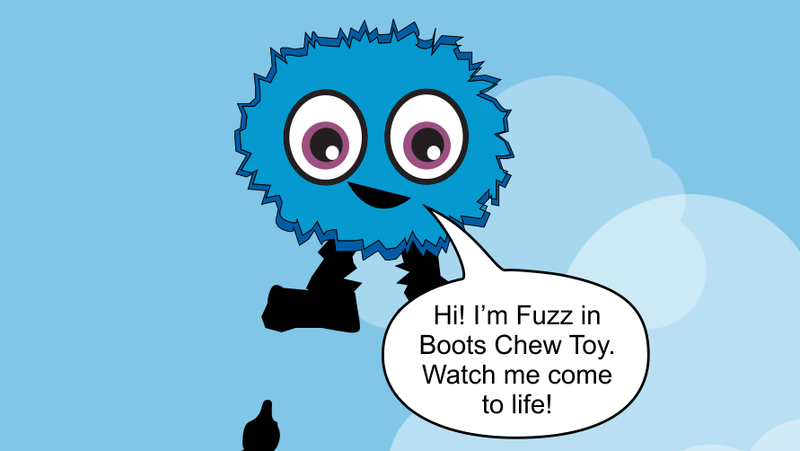 After (what seemed like) endless research and content distillation, we created a parallax scrolling website, showcasing the journey of “Fuzz in Boots” chew toy. As users scroll down the site, they discover just what it takes to bring new ideas to life at PetSmart and how they can be a part of it. The opportunities are endless.